Ariel is passionate about seeing businesses solve today’s social issues. He recently co-founded Fruit2work, a social enterprise that creates second chance jobs by selling fruit boxes to corporate offices in Melbourne. In his ‘spare time’ he is a consultant at A.T. Kearney with experience in CEO and CXO level strategy and operational engagements. 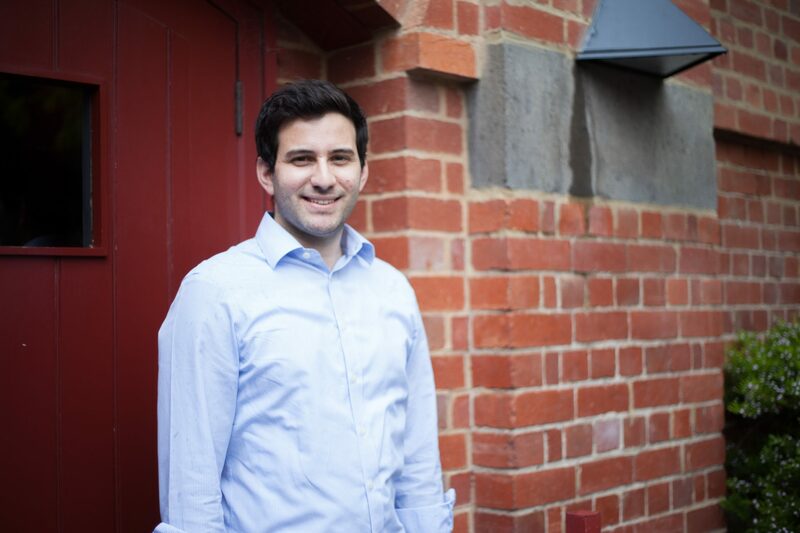 He also sits on the board of Kickstart Kids international, has done multiple consulting projects in impact investing and was one of FYA’s 2016 Young Social Pioneers. We sell fruit boxes to offices in Melbourne to create jobs for former offenders. 12 months ago a school friend who is a prison psychologist in Barwon prison, told me how he asked one of his clients, Thomas, if he was going to get a job when he was released from prison. Thomas replied “no, not this time”. The last time Thomas was released from prison, he got a job by concealing his criminal record. He didn’t want to risk losing his job to go to parole appointments so he missed the appointments and was then sent back to prison. Thomas describes this feeling as being stuck between a rock and a hard place. Stuck because society is asking him to do better but not giving him the opportunity to do so. The statistics in this space are disappointing, with almost every 2nd person leaving prison, back within 24 months. With my experience as a management consultant and having worked in the social enterprise space we decided to create jobs ourselves and help solve the problem. We partnered with charities TaskForce and First Step and we have been going for about 6 months. We sell our fruit boxes to offices in Melbourne. We have premium fresh fruit and price our boxes the same or below our competitors. Our employees collect, pack and deliver the fruit. We are lucky to have already gained multiple customers, including teams in Telstra, Toll, and Accenture. We recently ran a Christmas hamper campaign. It was great to see our hampers featured in the Herald Sun and Pro bono Australia! In early 2017 we’ll be announcing a major partnership that will enable further growth of the business, which means we will be able to provide more jobs to former offenders. We’ve had multiple mentors support us and each with their unique style. Some are heavy hitters that give us valuable guidance and incredibly useful introductions; others are very hands-on and will walk through a customer proposal with us. We’re grateful for all the support our mentors give us! No day is the same. When we first started, Doron and I were doing a lot of the deliveries ourselves, which meant 3.30am wake-ups! Now I’m juggling my other job as a consultant and being a director of Fruit2work, which has its own challenges. What challenges have you faced as you’ve started your business in Australia? The biggest challenge to starting our business was getting the really big sales. Given our social mission, large corporates loved our story and wanted to get on board, but they have a lot of bureaucracy to work through. Luckily the smaller companies sign up quickly and have kept us growing in the meantime. Everyone has their own risk appetite and this has a big influence on the decisions you make. Therefore, it’s good to know your own risk appetite before you get started and take that into consideration when other people are giving you advice. What organizations in Australia do you think are doing really cool stuff in your industry at the moment? Something we think is really cool is when businesses that were designed for profit pick up social missions that are central to the way they do business. This is often referred to as ‘Creating Social Value’. One great example is Hewlett-Packard Enterprise which has created employment opportunities for autistic people and by doing so, gain a competitive advantage. Defy Ventures are providing MBA-style training to former offenders and achieving astonishing results in terms of reduced rates of reoffending. Having a job truly changes someone’s life. It provides them social connections, money to pay for rent and food but most importantly it gives a person a sense of importance and value. In our experience Governments and Charities are really good at getting people ready for having a job (job-training, CV writing, networking for interviews) but aren’t able to offer jobs themselves – only businesses can do that. That’s why we’ve started Fruit2work, to create second chance jobs. We hope to provide an example and inspire other businesses to hire former offenders themselves. Our charity partners Task Force and First Step! What’s your favourite café in Melbourne? Bonnie Coffee Co in the CBD! Next articleIranthi Gomes, co-founder of Inventshift.